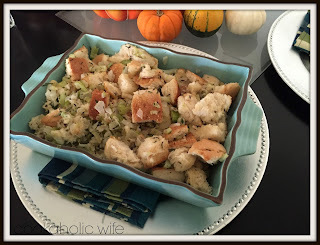 Stuffing, or dressing since I don’t cook it inside the turkey, has always been a weird side dish to me. I love the flavors but would prefer it to have more texture. 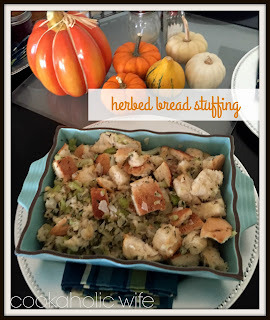 Most stuffing/dressing recipes only have a tiny bit of crunch on the top layer that’s baked in the oven and everything underneath is kinda mushy. There are a lot of things I can eat, but mushy food just isn’t one of them. I wanted to try this recipe and see if the larger pieces of bread would make a difference, giving this a firmer texture. 2. Arrange bread cubes onto a jelly roll pan and bake for 25-30 minutes or until dry. 3. Melt the butter in a large skillet. Add the celery, onions and herbs. Cook, stirring occasionally for 10 minutes or until the celery is softened. 4. Transfer bread cubes to a large bowl. Pour the celery and onion mixture on top, followed by the chicken broth and water. Stir to combine. 5. Transfer to a 13×9 baking dish and bake for 20 minutes or until heated through. *The photos are for half of this recipe. This recipe pretty much did exactly what I wanted it to do! The larger pieces of bread and smaller quantities of chicken stock made this taste more like a flavorful softened crouton as opposed to a pile of mush. Ironically, Tom commented that the stuffing was too crunchy for his liking. 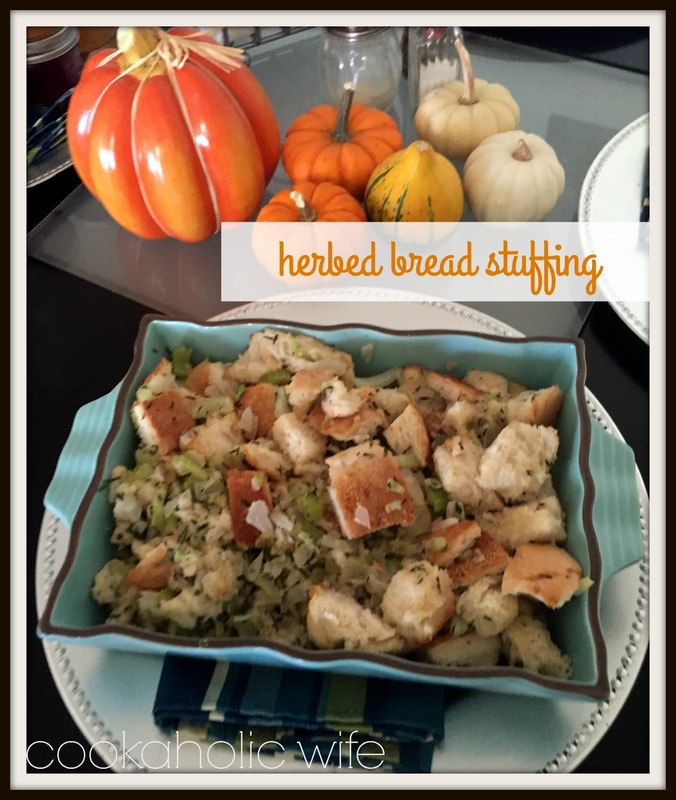 Looks like we’ll be a house divided on stuffing consistencies!